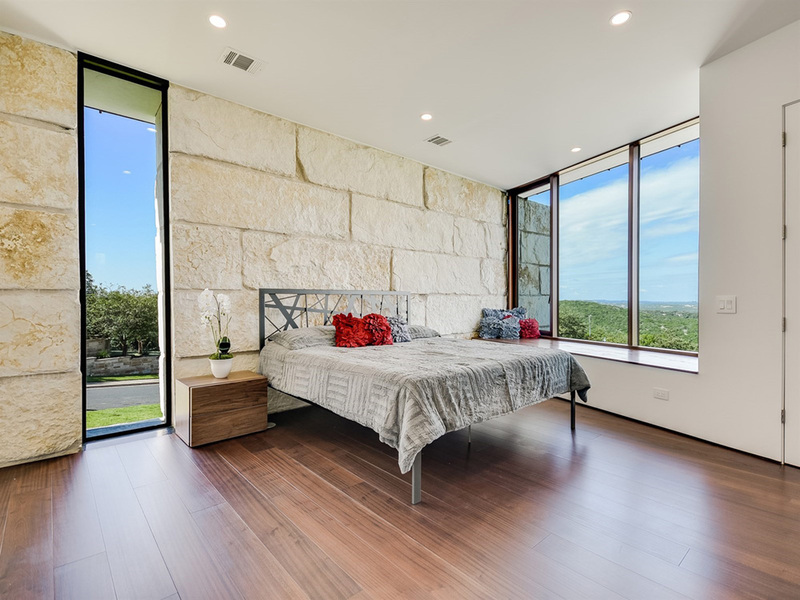 In complement to its setting on a limestone slope overlooking an expansive view of the Texas Hill Country, Bold Ruler House draws its inspiration from the clusters of ancient hillside towns built by the Etruscans and Romans. 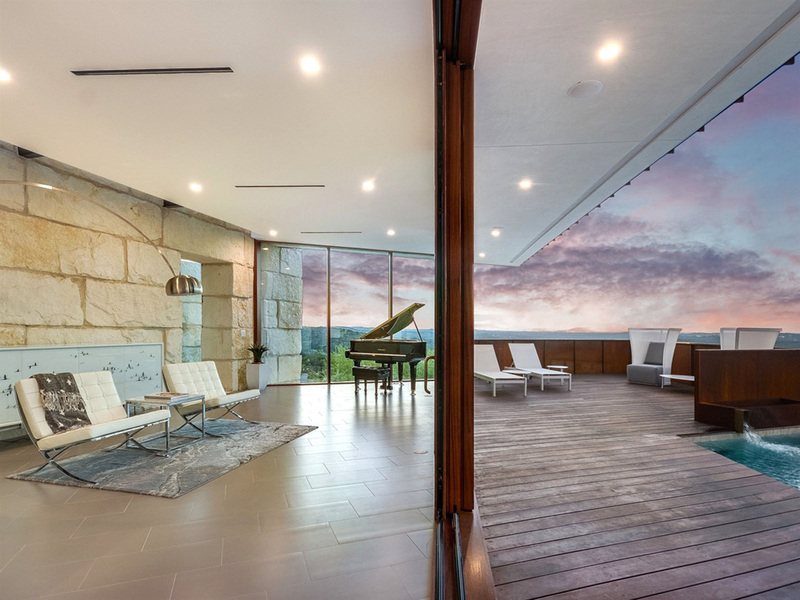 It is composed of a collection of stucco-and-glass volumes that contain the house’s program elements and which are alternately stitched together and sliced apart by heavy demising walls of stone that appear to be drawn up from the ground. The shifting spaces create intricate connections between rooms and surprising slivers of views out into the countryside. The building rests on one main level that cantilevers out over the sloping site. 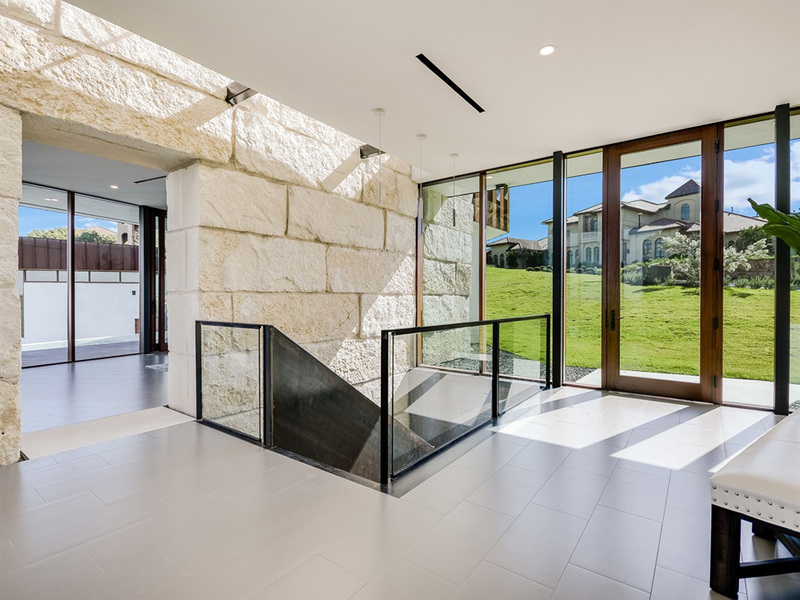 The double-height entry foyer offers an immediate glimpse of the spectacular setting then provides access to a library and guest wing to one side and the expansive great room to the other. 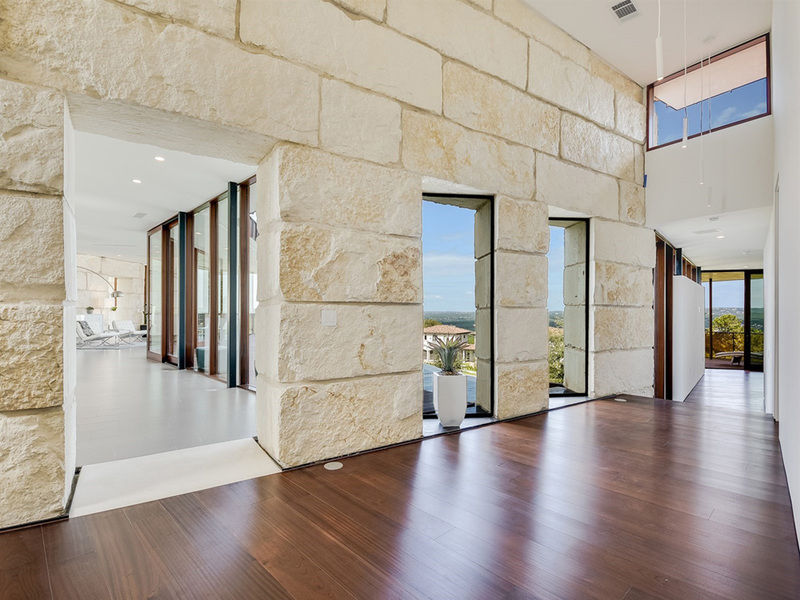 The great room, anchored by a central kitchen and containing dining and living areas bookended by the massive limestone walls that define the house’s spaces, features a continuous full-height window wall that frames the negative-edge pool that gives onto the endless view beyond. 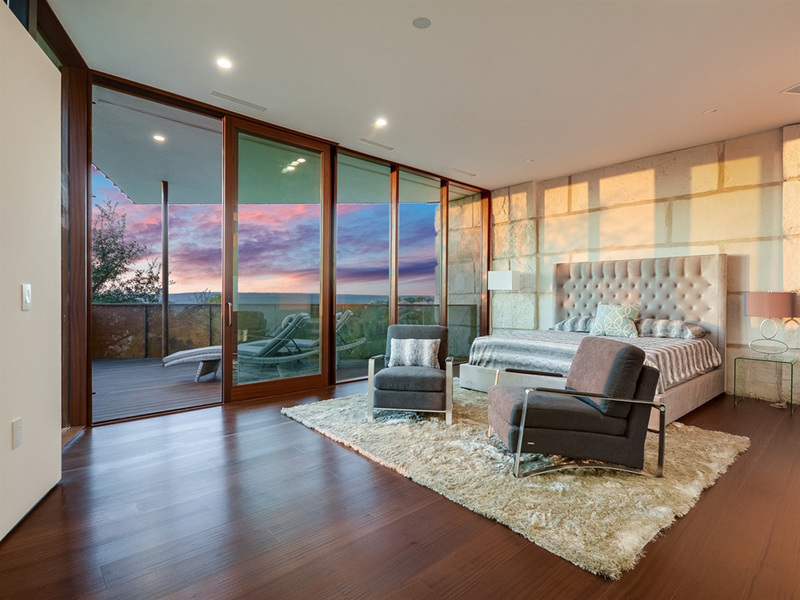 A flex room with double-height ceilings acts as a fulcrum that connects the public zone to the master suite, which hovers above the sloping ground and terminates in a suspended private deck. 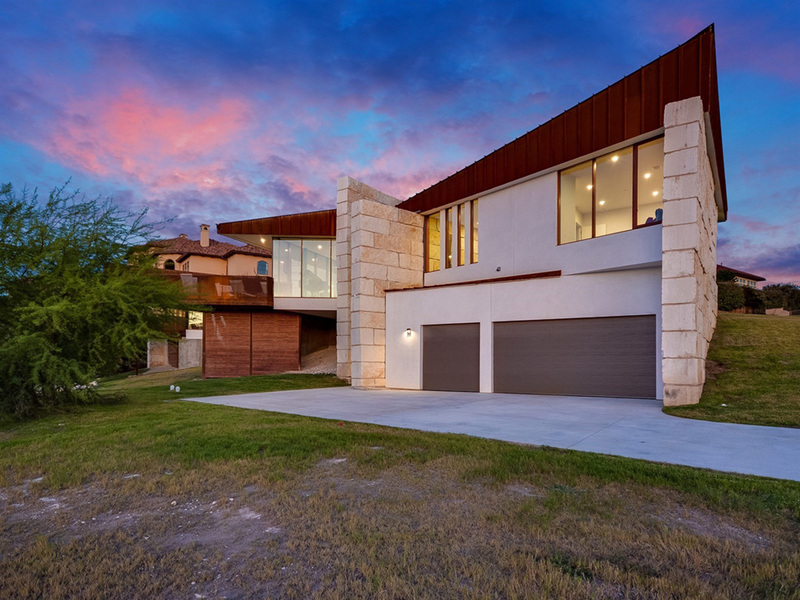 The shifting composition of stone and stucco is capped by a jagged, dramatic weathered-steel roof, the color and character of which echoes the traditional terra-cotta roofs of the neighborhood. The wings of the house wrap around a central garden terraced into the hillside and leading down to a broad lawn.